Nautical baby boy showers are a perennial favorite. 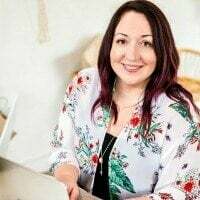 Sarah, of Dreamers Joy Events, and Wendy, with Green Beansie Ink, joined talents to produce a fresh, contemporary take on a proven vintage theme: Popeye serves as muse for this Lil Sailorman baby shower. That upbeat color theme royal blue, red, navy and yellow is reinforced at the party where guest and dessert tables, cake and cupcakes, and even the take-home favors, coordinate. A gorgeous nautical-themed party with the unexpected addition of a teddy bear motif. This charming guest table is covered with white linen and a fishnet table runner. Place settings echo the color theme and beribboned vases hold more fresh flowers and berries. Even the chair backs are covered with stars and are tied asymmetrically with a sailor’s rope. From bow to stern, this nautical baby boy shower has a lot to offer. If the nautical theme appeals to you, read on for a boatload of decoration ideas! Star-studded pennants and “Welcome Aboard” life savers call attention to the dessert table, but the first thing that arrested me was the centerpiece cake: a can of spinach–how cute is that?! Sugar cookies shaped like stars, anchors and life savers are a great idea. Cupcakes are fondant topped with stars and a Popeye muscled arm, a life saver and a ship’s steering wheel. Spinach can cake pops match the cake and polka-dotted, chocolate covered Oreos add to the lighthearted appeal of this table. Sailor stripes and multilevel display platforms add a lot of visual interest, too. Green bottles, in “spinach juice” wrappers make you think you might be getting the real deal. A decorative ship and a fresh flower arrangement add a lot to the visual feast, but what made me laugh out loud was the Wimpy Burgers: “I will gladly pay you tomorrow for a hamburger today.” They’re actually sandwich cake bites, but they sure look like the real thing. 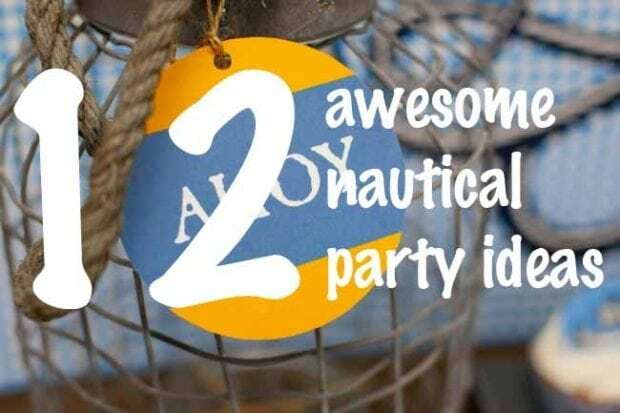 Check out more nautical themed parties you will love.